Synthesis of silica nano particles and carbon sorbents from rice husk. Azat S., Pavlenko V.V., Kerimkulova A.R., Mansurov Z.A. Synthesis and structure determination of carbonized nano mesoporous materials based on vegetable raw materials., Advanced Materials Research Vols. 535-537 (2012) Online available since 2012/Jun/14 at www.scientific.net. Kerimkulova A.R., Azat S., Mansurov Z.A., Gilmanov M.K., Ibragimova C.A., Adekenov S.M., Rakhimova B.B. Mesoporous nano carbon sorbents for separating different biomolecules. Advanced Materials Research Vols. 535-537 (2012) pp. 284-288 Online available since 2012/Jun/14 at www.scientific.net. Mansurov Z.A.,Azat S., Adekenova A.S., Kerimkulova A.R., Ivasenko S.A., Shulgau Z.T., Gilmanov M.K., Ibragimova S.A. Extraction Fusicoccin From Wheat Seeds Using Nanocarbon Sorbents. Advanced Materials Research vol .647 (2013). pp.67-70. 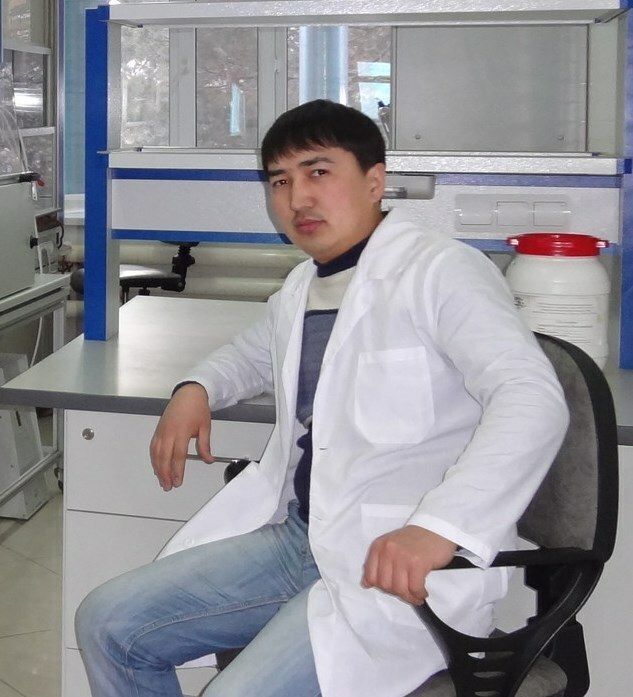 Mansurov Z.A., Jandosov J.M., Kerimkulova A.R.,Azat S., Zhubanova A.A., Digel I.E., Savitskaya I.S., Akimbekov N.S., Kistaubaeva A.S. Nanostructured carbon materials for biomedical use., Eurasian chemico-tecnological journal. 2013, 15(3).pp.209-217. Azat S., Rosa Busquets, Pavlenko V.V., Kerimkulova A.R., Raymond L.D., Whitby, Mansurov Z.A. Аpplications of activated carbon sorbents based on greek walnut. Applied Mechanics and Materials vol.467(2014) pp.49-51. Kerimkulova A.R., Azat S.,Seytzhanova M.A., Kerimkulova M.R., Mansurov Z.A. Carbon and сarbon ceramic sorbents for separation and purification. Carbon 2014, June 29-July 4, International convention center Jeju, Jeju, Korea. – 127 p.
A.R Kerimkulova, Seitkhan Azat, L.M Manocha, S.M Manocha, G.E Zhusupova and Z.A Mansurov. Synthesis and application of carbon adsorbents in chromatographic separation of biologically active complexes. Frontiers in Nanoscience and Nanotechnology., Volume 3(2), 2017.